Entire collection available in coated aluminium from 2012. The beams are made of 95% recycled aluminium, which makes the Cassecroute collection fully cradle-to-cradle. They are subsequently coated in the four basic colours selected by Wim Segers and Ronald Mattelé. 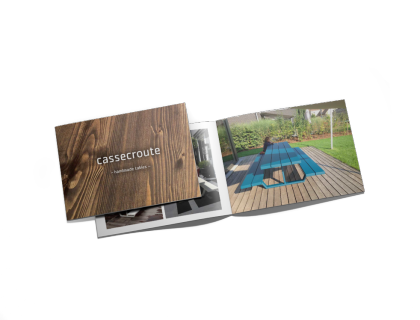 The Cassecroute collection still has a warranted lifetime of 3 to 4 generations, and remains fully recyclable. The base is still made of metallized steel and powder coated in different colours.